Nestled between the shimmering Atlantic Ocean and glowing sands of the mysterious Sahara Desert, Mauritania is a unique tapestry of Arabian culture and surreal landscapes. Mauritania is home to over 4 million people and some truly unique and unforgettable experiences. Attractions include the National Museum of Mauritania in Nouakchott, Banc d'Arguin National Park and the town of Ouadane. 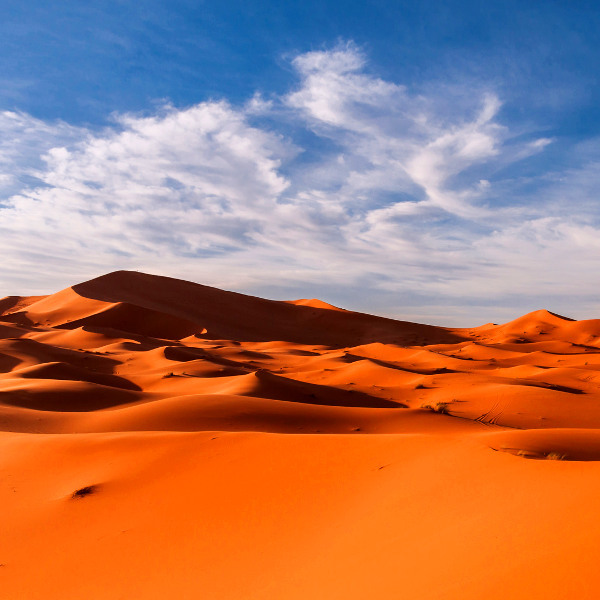 Get ready to lose yourself to the wild beat of West Africa with cheap flights to Mauritania. Nouakchott, the capital, is home to Nouakchott–Oumtounsy International Airport (NKC), which is a 45-minute drive from the city centre. 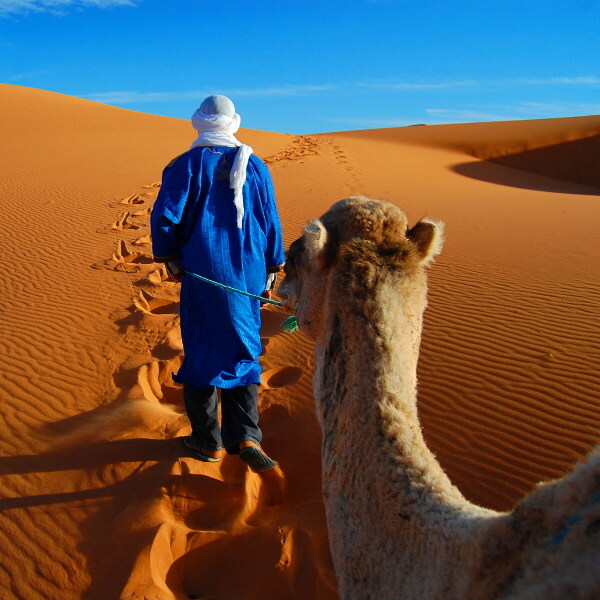 Mauritania offers a gateway to discovering the magnificent Sahara Desert. Listen to the folklore of nomadic tribes, explore lost desert cities, or search for the enigmatic Eye of the Sahara. Embark on an unforgettable camel safari across the dunes of the desert for a chance to experience the wild spirit of the desert and drink tea with local guides beneath the blistering African skies. Food in Mauritania is an exotic fusion of cultures that has been influenced by history and its neighbouring countries. 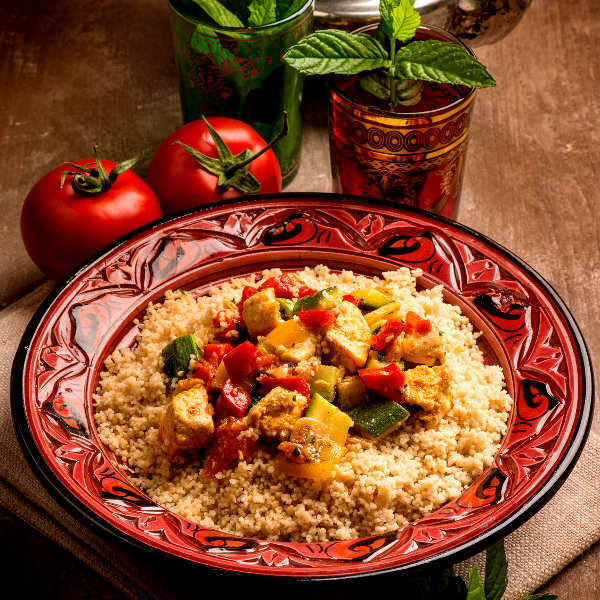 Popular dishes include thieboudiene (the national dish), yassa poulet and mahfe. Apart from the rainy season in the south, from July to October, Mauritania is a hot and dry country. Temperatures can easily reach 38 degrees Celsius during the day and drop to 7 degrees Celsius at night. Sandstorms whip through the country from March to May. The best time to visit Mauritania is towards the end of autumn (November to December) and winter (December to February). These months offer sultry days and pleasantly cool nights, which are ideal for sightseeing and outdoor activities. Diwali is celebrated in November. For cheap flights to Mauritania, the best time to visit is between July and September. Mauritania invites you to venture into the sultry desert to discover cities sunken into the sands, search for the Terjit oasis and Eye of the Sahara, and trek through the steaming desert atop an easygoing camel. Banc d’Arguin National Park is a UNESCO World Heritage Site that quivers with migratory birds in winter. The noisy carousing and quirky dancing of flamingos, broad-billed sandpipers, pelicans and terns is an enthralling wildlife extravaganza. Mauritania is renowned for its ruins. Oualata and Oudane are old towns that whisper of medieval Berber empires and 11th-century holy lands, while the old city of Chinguetti is an iconic sprawl of sandstone streets and antiquated mosques. Nouâdhibou is home to the largest ship graveyard in the world and Baie de l'Étoile, a hotspot for daring kitesurfers; while Nouakchott, the capital city, is home to the Musée National and some beautiful beaches. For a glimpse into local life, and delectably fresh fish, head to Port de Pêche. Colourful pirogues crowd the soft sands of the beach as fishermen drag in nets and the fish market buzzes with activity. Compare several airlines and book your cheap flights to Mauritania online at Travelstart! Due to the unpredictable security situation, conflict in neighbouring countries, and the threat of kidnapping and terrorism, there are risks when travelling to Mauritania. You should stay up to date with travel advisories and security updates throughout your trip. Travel insurance is highly recommended. Avoid travel to the provinces of Tiris Zemmour, Adrar, Tagant, Hodh el Chargui, Hodh El Gharbi, Assaba, Guidimaka, and border areas with Mali, Algeria and Western Sahara. Avoid venturing into isolated areas and wandering around alone at night. Make use of licensed taxis to get around. Maintain vigilance in areas frequented by foreigners and avoid large crowds and public gatherings. You should take the necessary precautions to avoid credit card fraud and muggings. It is also important that you familiarise yourself with the local laws and customs before arriving in Mauritania. Tuberculosis, dengue, malaria and other insect-borne diseases are a risk in North Africa, so precautions should be taken to avoid infection and bites. Immunisation against yellow fever, hepatitis A & B, typhoid, cholera, meningitis and rabies is recommended. Routine vaccinations include MMR, diphtheria-tetanus-pertussis, meningitis, varicella, polio and influenza. Stick to bottled water.